Visit the worlds largest arts festival, which in 2017 spanned 25 days and featured 53,232 performances of 3,398 shows in 300 venues. 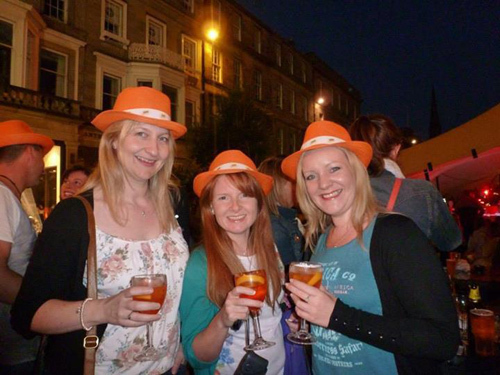 Have you always wanted to visit the Edinburgh Festival Fringe, watch some big name acts and meet new people? From its humble beginnings in 1947, the Edinburgh Fringe has grown into the largest arts and comedy festival in the world. 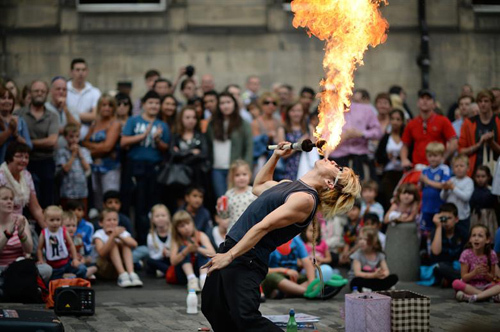 Every August for three weeks the city of Edinburgh, Scotland’s capital, welcomes big name acts such Britain's Got Talent winner Lee Ridley and Ruby Wax, to the thousands of quirky performers and musicians that perform in pubs and streets of this ancient city. With over 53,000 shows taking place during the festival there are quite literally thousands of reasons to visit the Edinburgh Festival Fringe. A real treat from the 23rd to 26th August. As you can imagine, tickets and accommodation to this incredible event come at a premium. Edinburgh offers you a unique cultural experience during its Festival. From drama to street stalls, comedy, dance, theatre to street parades, musicians with small, unexpected places hosting gems waiting to be discovered. Well then, do we have a treat for you! You are invited to join us at the 2019 Edinburgh Fringe. Travelling early on Friday the 23rd of August and returning on Monday the 26th August we will be spending 4 full days and 3 nights in the heart of Edinburgh. Steve your Social Circle host and founder, has hosted our Fringe Weekends every year since 2007 Take advantage of his incredible knowledge and expertise to guide you to the best shows and locations in this vibrant city. Alongside the Fringe is The Edinburgh Military Tattoo, great shopping, whisky drinking and Haggis eating opportunities, with Comedy, Theatre, Live Music, Arts, Street Performers a plenty. Edinburgh will once again enjoy an arts extravaganza which is famous for bringing the hottest talent to one of the most beautiful cities in the world. 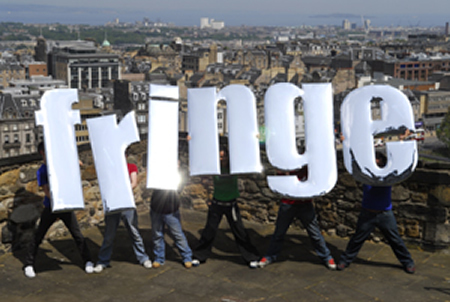 Selected Edinburgh Festival Fringe shows. Scottish Breakfast and 3 course Evening Dinner. Accommodation in the heart of City Centre. Your very own guide to help answer any questions and show you around. We do all the boring bits like research the shows, book the acc, find the restaurants and bring everyone together. Experience a memorable weekend, the memories stay forever and once visited you will want to come back year after year its that addictive. What you can expect from our Edinburgh Festival Fringe 2019 Weekend. We have exclusive use of the Sugarhouse Close Apartments in the heart of Edinburgh city centre, just a short walk from The Festival Fringe. Nestled away from the late night parties, you will still be able to enjoy a quiet nights sleep in your own en-suite room. Every morning you will join your fellow guests to chat about the days activities over a hearty Scottish Breakfast. We will also enjoy socialising at Sugarhouse Close too. Meaning that you can have a stress-free and enjoyable weekend at the Fringe that is friendly on your pocket too. 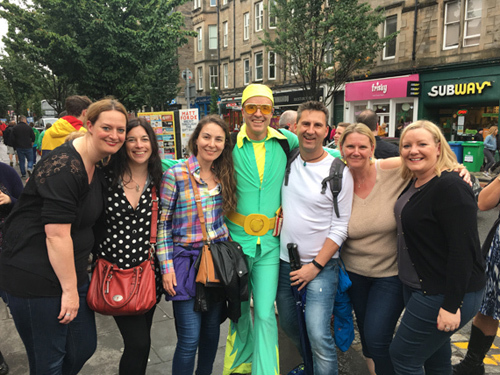 Given you will want to meet new people and enjoy the Edinburgh Festival Fringe, we will make sure socialising is high on the agenda. What was my favourite part of the weekend? From the Cabaret and Comedy to laughing as we danced to a silent disco on the middle of the road, I can’t decide! Thanks Steve for making it a memorable event as always. Lindsey. I am so glad I booked ahead, it was a perfect way to spend a bank holiday. We crammed so much in. Sampling the rare whiskies in Edinburgh was definitely on my to-do list and the atmosphere of the Fringe is incredible. I am so glad I got to experience this with a great bunch of people. Phil. So whats left to do? Simply book and come join us…. Book now. PLACES ARE LIMITED to 9 - YOU MUST BOOK EARLY to be assured of a place on this extremely popular weekend. Price: Member £445.00 Non Member £495.00. To receive member price you must be a member at time of booking and at time of event. Please note that prices for tickets and tours that are not included are payable separately. We suggest booking a direct train from Manchester Piccadilly to Manchester Waverley. * You are responsible for booking your own trains. With Social Circle you will have your own guide who will make your trip one to remember, add to this great company, friendships that are formed, lively conversation, nights out and general relaxed atmosphere, this is your Social Circle Guarantee. Just an incredible trip organised for you with like-minded people. As you can imagine, a weekend would normally come at a premium. But Social Circle have that all sorted for you! Full price is usually from £595 but early birds get an incredible discount meaning the entire weekend costs only £445. To receive member price you must be a member at time of booking and at time of event. Best of all you can secure your place for a low deposit of £200.